Keep Your New England Vegetable Garden Going Well Into the Fall! Just because September has snuck up on us and we've had a couple of chilly days and nights certainly doesn't mean that the vegetable gardening season is over. There are plenty of things to grow well into October! As a matter of fact, now is the perfect time to get back in the garden for a few hours, clear away some of the vegetables that have done their thing and are on their way out. Some of the heat-loving vegetables like tomatoes, summer squash and zucchini probably have seen better days and have stopped producing for you anyway. Remove the plants now before they die completely and put them in a compost pile. Guess what, now you've got room for the next set of vegetables. 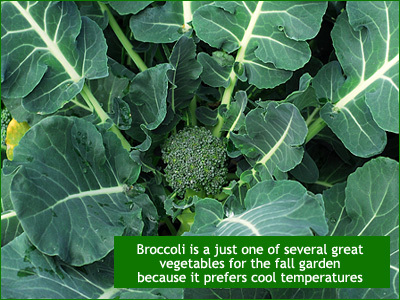 The vegetables that thrive in the cool spring weather also make great candidates for fall planting and harvesting. In our opinion, they seem to do even better in the fall than they do in the spring, since autumn brings less wild swings in temperatures and depending on where you live, you may see your Thanksgiving turkey on the table before you even see the first frost. 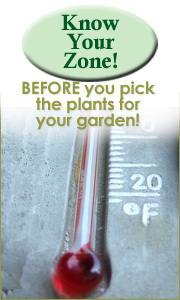 We realize that most of New England is not so lucky, but either way, you can get another 8 weeks of growth out of your garden with cool loving vegetables that are tolerant of even a light frost. Our favorite picks are broccoli, kale and cabbage - which also happen to be three great ingredients for a hearty delicious soup at harvest time! We start our fall plants from seed about mid-August, so that by early to mid September, they are ready to transplant into the garden. If you missed that opportunity, you can often find at least cabbage and kale plants at your local nursery, just make sure they are the edible variety and NOT the ornamental variety. You'll end up sorely disappointed when all you can do is look at your cabbage. The other vegetable that you can sow from seed easily is snap peas. Seeds are still available in the store and they sprout within a few days, with a healthy crop of pods in just a few weeks time. They prefer full sun and in a protected area of the garden if possible, but make no mistake, these plants are tough and love temps between 30-60 degrees. So get out there, pull up the summer plants and get some fall vegetables going. You'll be glad you did in about 6-8 weeks when a bountiful harvest of broccoli, kale and cabbage ends up in your favorite fall soup recipe on a cold fall day in October and November.